Some workdays call for reinforcements in the form of beer, a microphone and your favorite ’80s power ballad on the karaoke machine. 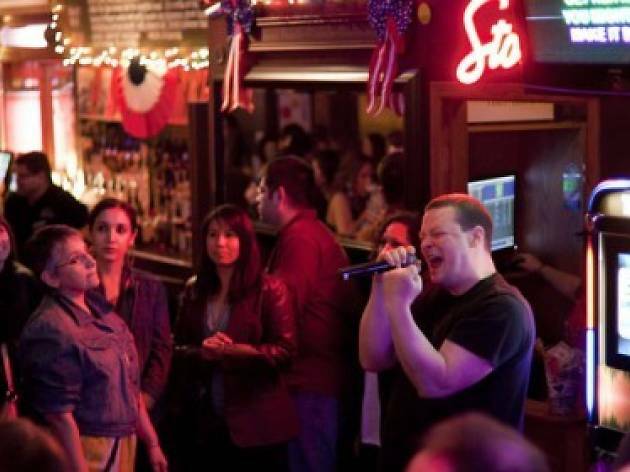 Chicago has plenty of places where you can show off your vocal prowess while enjoying a few beverages, including wood-paneled dive bars and neon-lit private karaoke rooms in Chinatown. There are even a couple of places that keep the sing-alongs going until 4am. 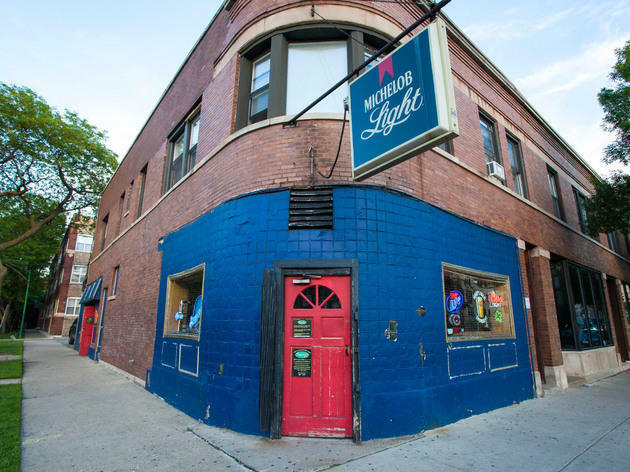 If you're prepared to listen to "Total Eclipse of the Heart" a few times, we've tracked down the top karaoke bars in Chicago. 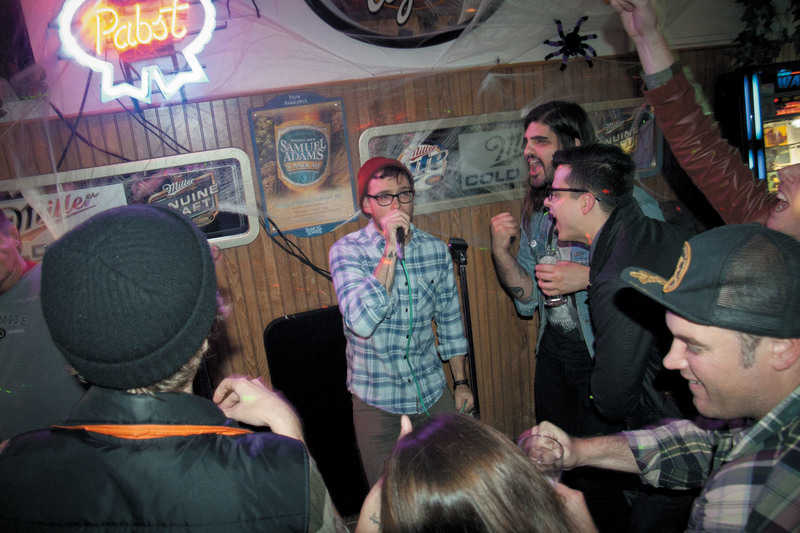 There's one name that's synonymous with raucous late-night karaoke in Chicago, and that name is Alice's. Don't come expecting to sing more than one song on a busy night—the regulars rule the mic here, but the majority of them are pretty entertaining to watch. Plus, after a few beers (and a shot or two) you'll be yelling along to most of the lyrics anyways. 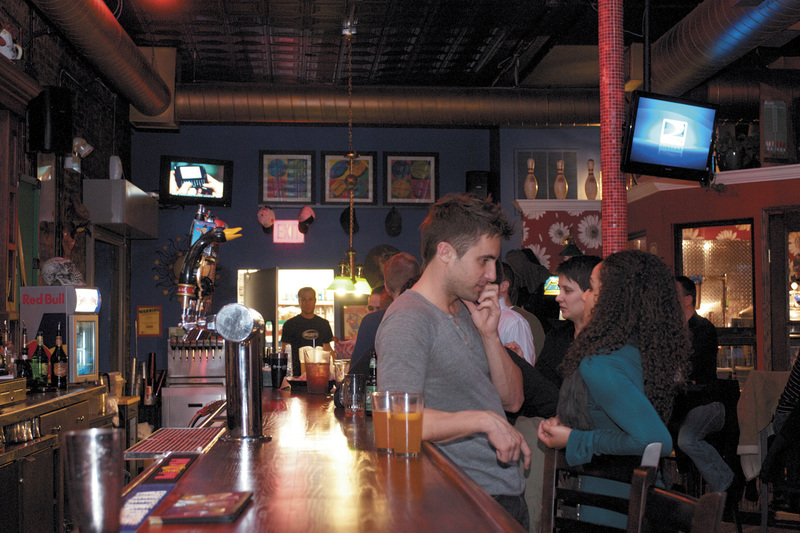 Karaoke: Tue, Thu, Fri 11pm–3:30am; Sat 11pm–4:30am. 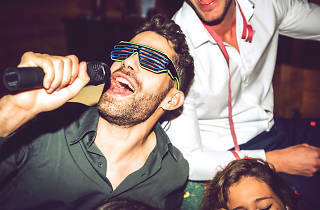 If you're looking for a place to sing Justin Bieber or the Rolling Stones with a close group of friends, this private-room karaoke bar has tunes that will appeal to everyone. Each of the 18 rooms is equipped with a flat-screen TV, sofas and access to a menu of snacks that can be delivered to you while you're singing. 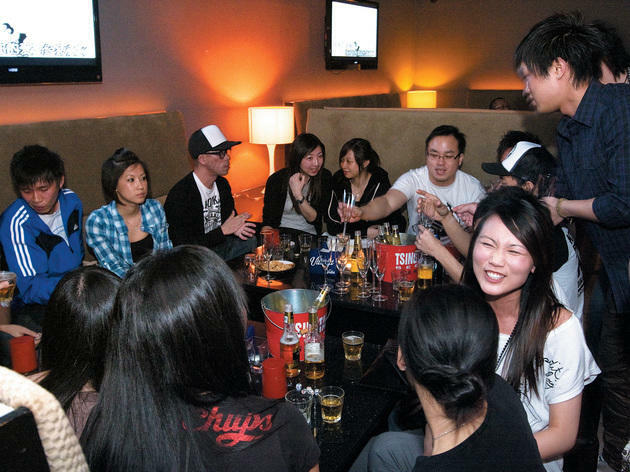 Karaoke rooms: $30–$40/hour Sun–Thu 7pm–2am; $30–$50/hour Fri 7pm–2am; $30–$50/hour Sat 7pm–3am. 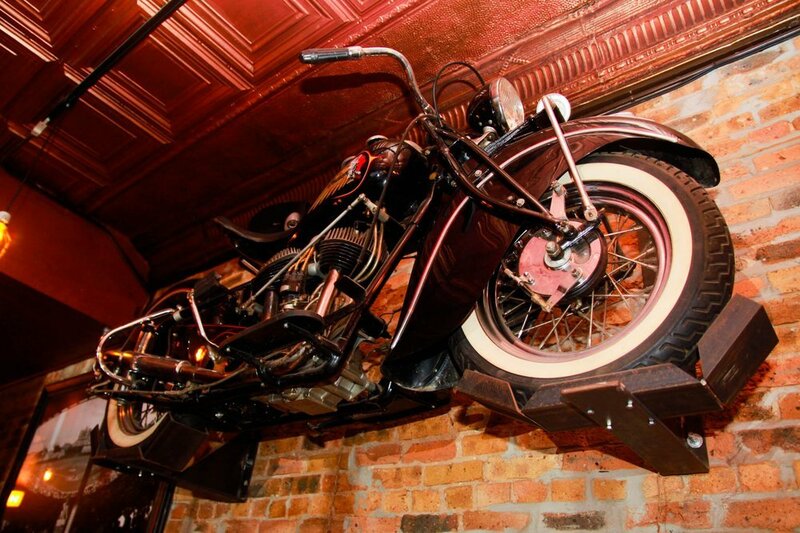 There's a motorcycle hanging from the wall of this Lincoln Park bar, but don't feel like you need to belt our Motorhead or ZZ Top tunes here. 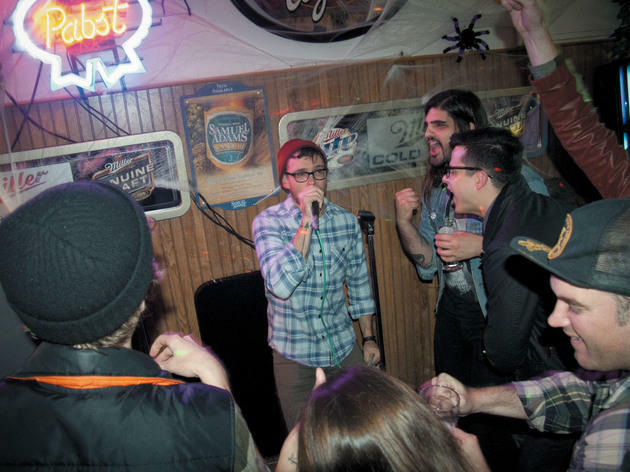 Shoe's Pub draws all types to its weekly karaoke nights, from regulars singing country tunes to drunk DePaul bros doing Backstreet Boys. 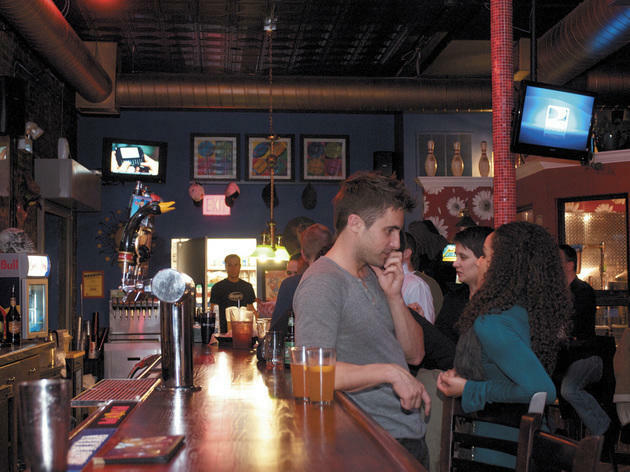 Heed the bar's motto when choosing your song: "Where less is more." 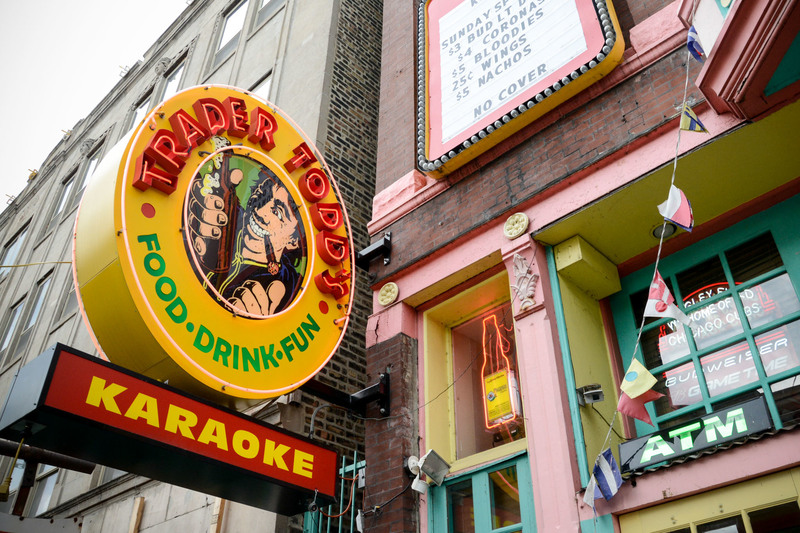 In Chicago, when you hear the name Todd, karaoke might be the first thing that comes to mind. 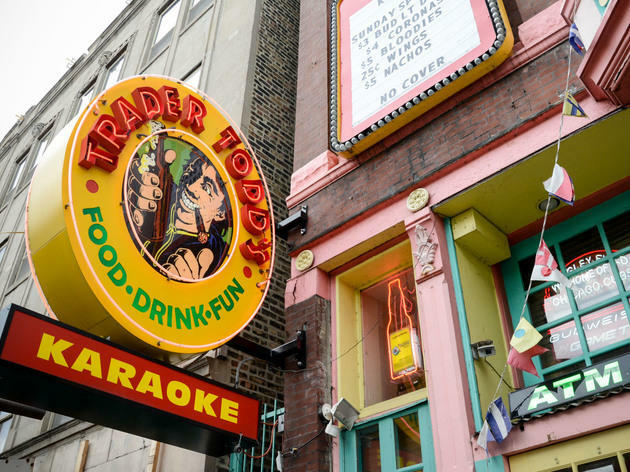 That's largely thanks to the daily schedule at Trader Todd's, a Lakeview staple that attracts birthday parties, coworkers and improv troupes to its tiny stage. The bar's tiki cocktails tend to be weak, so you're better off drinking a couple of beers while you scream along to "Sweet Caroline." 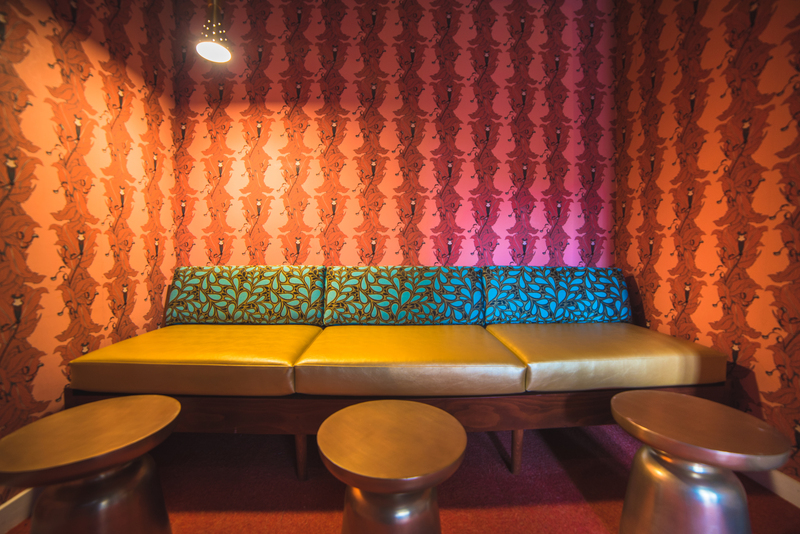 Brando's Speakeasy is dressed up like a vintage cocktail lounge, but karaoke seven nights a week doesn't exactly make it ideal for a first date. You'll have no trouble finding the song you're looking for among the bars catalog of more than 300,000 tracks, and daily drink specials make it easy to get some affordable liquid courage before you test out your rendition of Blondie's "Call Me" for the crowd. 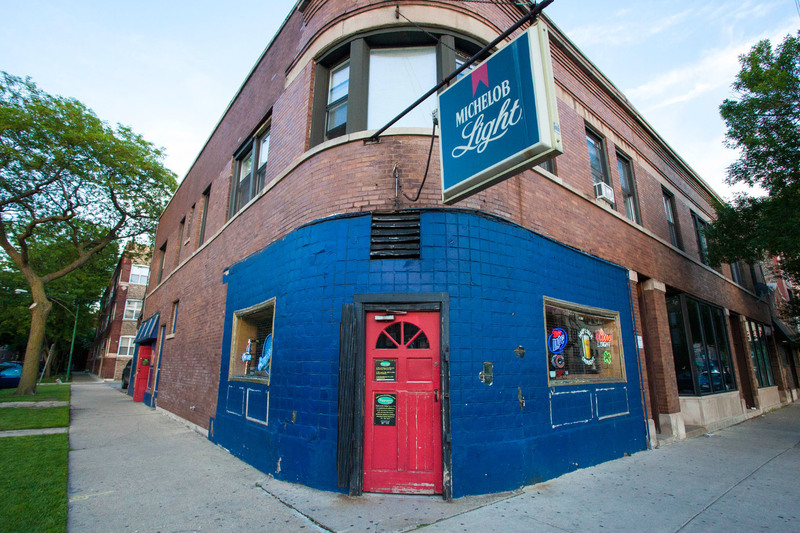 This Wicker Park karaoke pub has all the ambiance of a yuppie dorm room: Posters of predictable rock icons such as Jimi Hendrix and Bob Dylan line the walls while drunk bros belt ironic renditions of "Who Let the Dogs Out" and groups of gals get teary-eyed over Pearl Jam sing-alongs. At least there's free popcorn to munch on while you wait your turn. 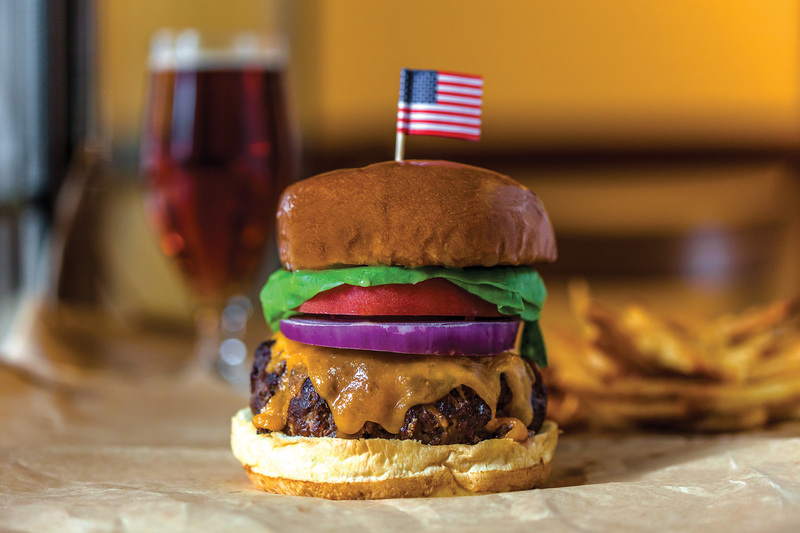 As part of Spike TV's Bar Rescue, a crew overhauled Blue Frog 22 into The Local: the ostensible home of "Chicago's best burgers and beer." Thankfully, the televised makeover didn't get rid of Blue Frog's best feature: it's karaoke night. If you're out late in River North and want to sing for a crowd of locals and tourists, this should be your first stop. 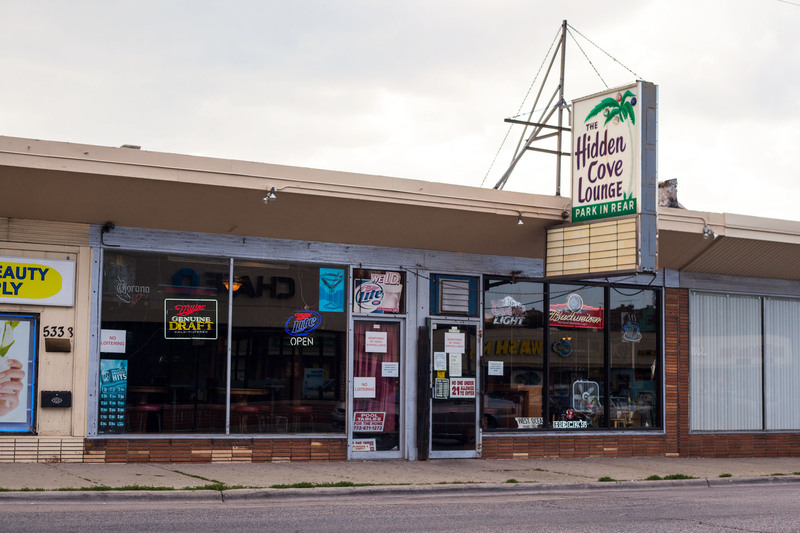 Spending a night inside Hidden Cove is like taking a trip back in time. 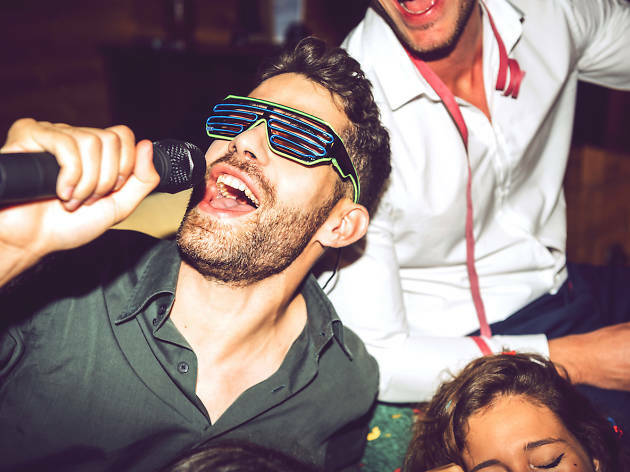 Karaoke takes place every night of the week on a large dance floor, offering plenty of room for your friends to show off their moves or join you to belt out a chorus. 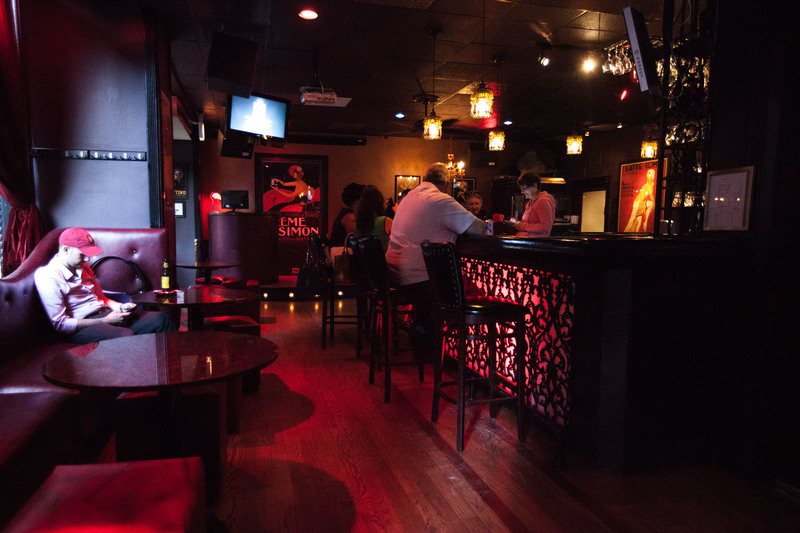 Plus, you'll find a mixture of young and old guests sipping cheap drinks into the wee hours of the night—this place stays open until 4am. 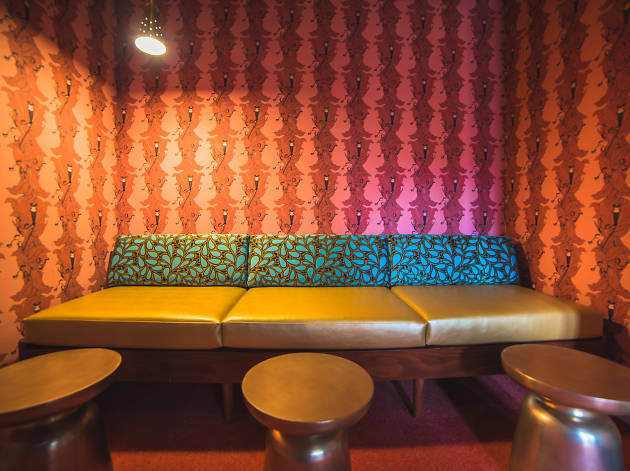 Descend into this subterranean Chinatown karaoke lounge to rent a private room and sing your way through a catalog of more than 100,000 tunes. If you don't feel like springing for a room, there's a stage in the main lounge where you can show off your pipes in front of a crowd—you'll just need to pay the $25 cover charge (which includes two drinks at the bar). 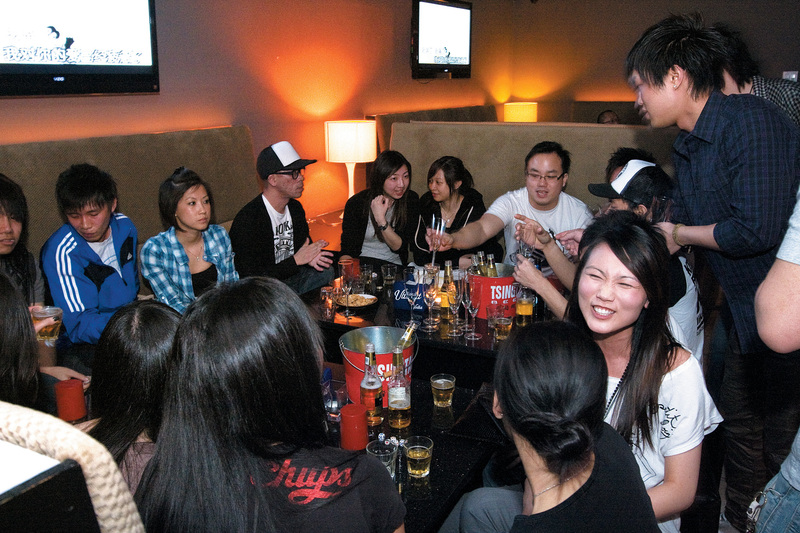 Karaoke rooms: $35–$70/hour Mon–Sun 6pm–2am. 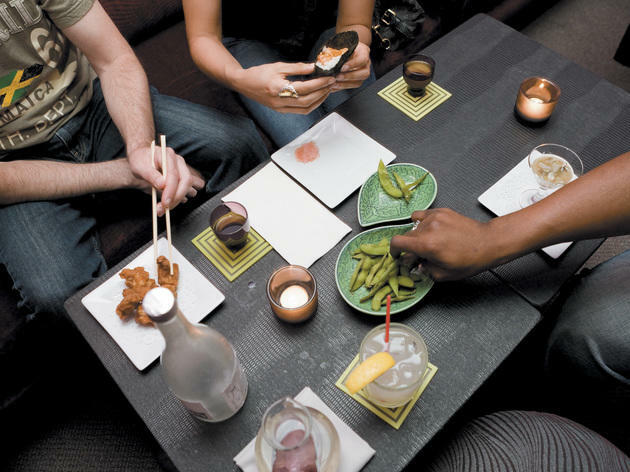 This sprawling West Loop entertainment complex includes two small karaoke rooms among its bowling alleys, arcade games and dining areas. 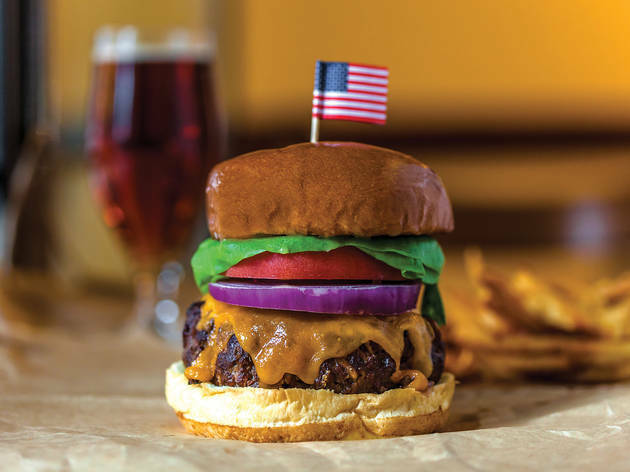 Thankfully, the rooms are private, which means that the folks bowling or chowing down nearby won't have to enjoy and/or endure your rendition of "Purple Rain." 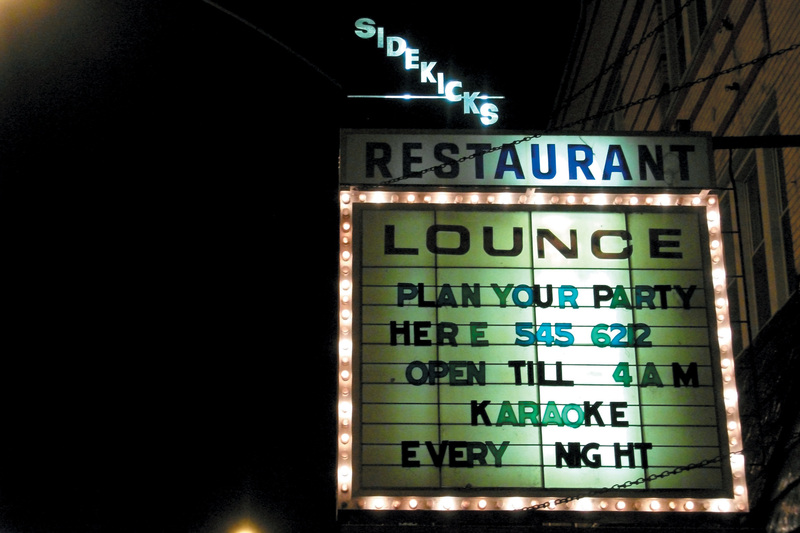 Located above Hamburger Mary's, this LGBTQ-friendly hangout packs in crowds for both editions of its kitschy weekly MaryOke. Hosted by local drag performers, you can expect to hear everything from Broadway show tunes to renditions of Michael Jackson songs. Karaoke: Sun, Thu at 9pm. 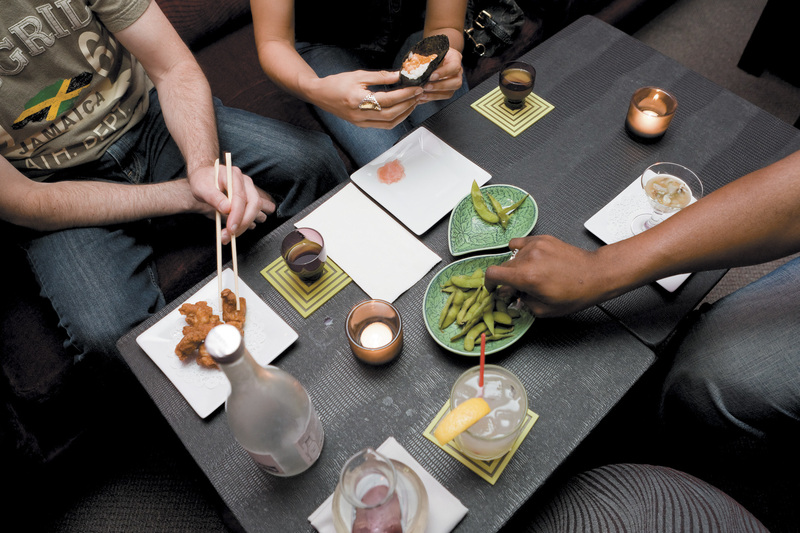 Some people come to this Gold Coast lounge for the Japanese whiskey and traditional Japanese small plates (think spicy salmon hand rolls and tofu-topped udon noodles). 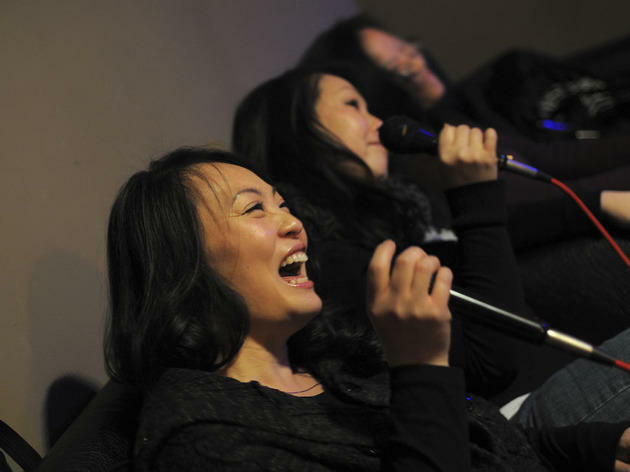 Others show up to sing songs in Murasaki's single private karaoke room, which boasts 10,000 English songs and 130,000 Japanese songs. If you must have quality sushi while you sing, this is the place to go. 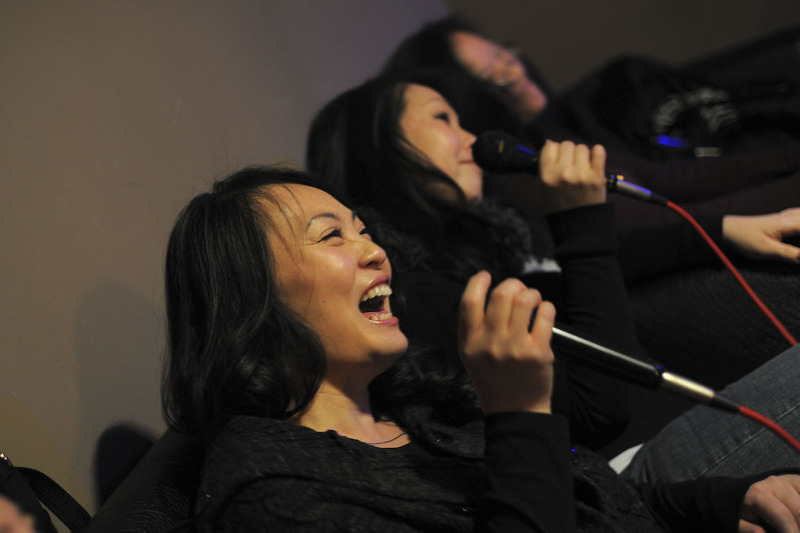 Karaoke room: $35/hour Sun–Thu; $45/hour Fri, Sat. 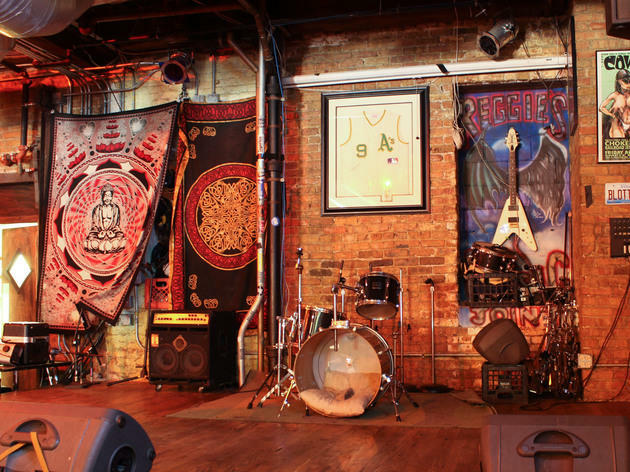 If you've lived in Chicago long enough, you've probably seen a few concerts at this South Loop pub, which is a venue of choice for punk rockers, metal bands and tribute acts. 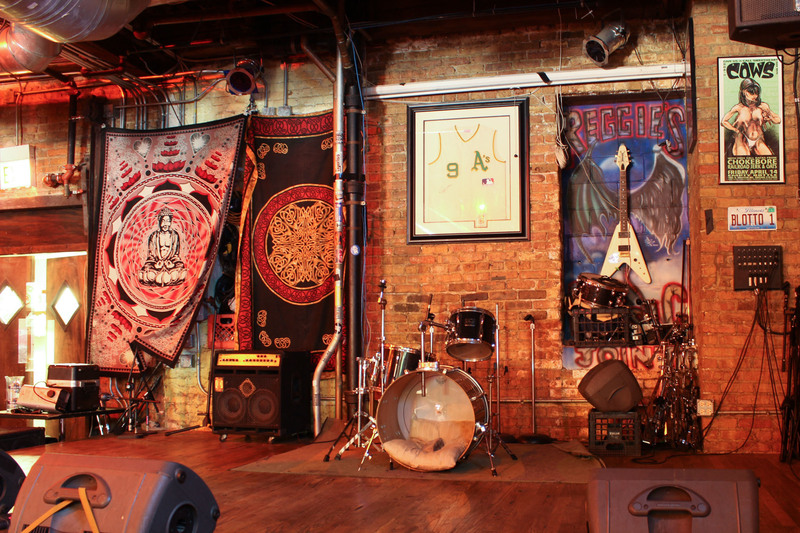 Every Wednesday, you can join the long list of people who have performed on the Reggie's Music Joint stage by taking part in Live Band Karaoke. Bring your best frontman moves and the band will supply the music you need to rock the house. 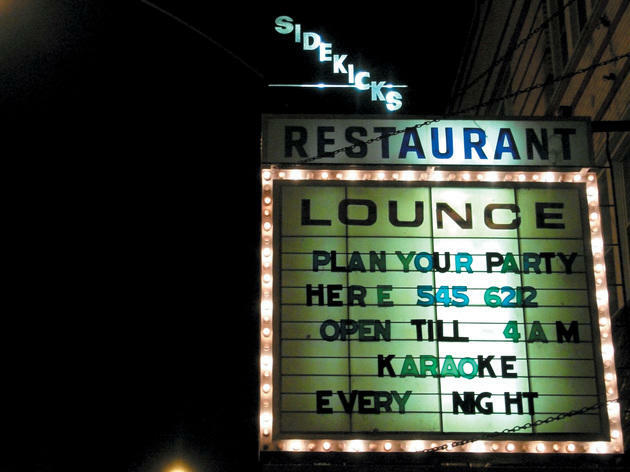 The wood paneling, neon signs and kitschy decorations at this karaoke and darts bar probably haven't changed much since the ’80s—and neither has the catalog of songs. 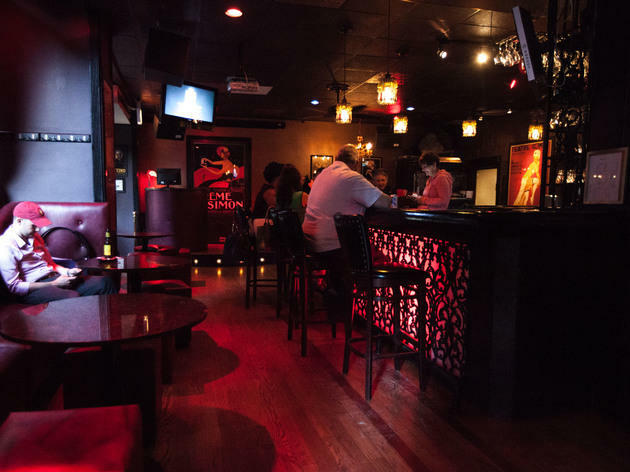 Grab a cheap drink from the bar, give your request to the DJ and get ready to watch some entertaining takes on Metallica, Barry Manilow and more. 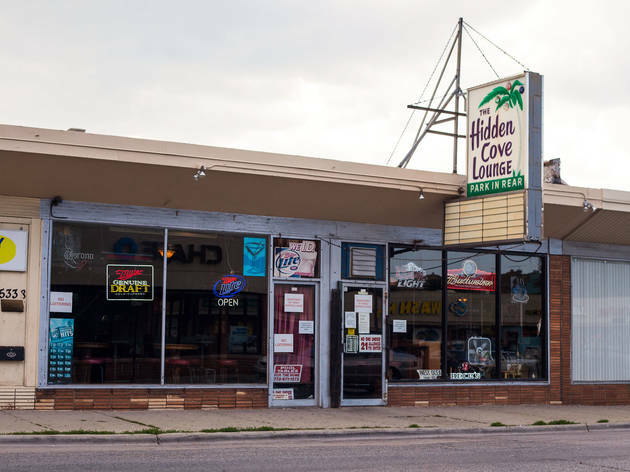 This LGBTQ-friendly hole-in-the-wall joint is a neighborhood spot that you'd easily walk by if you didn't know what you were looking for. 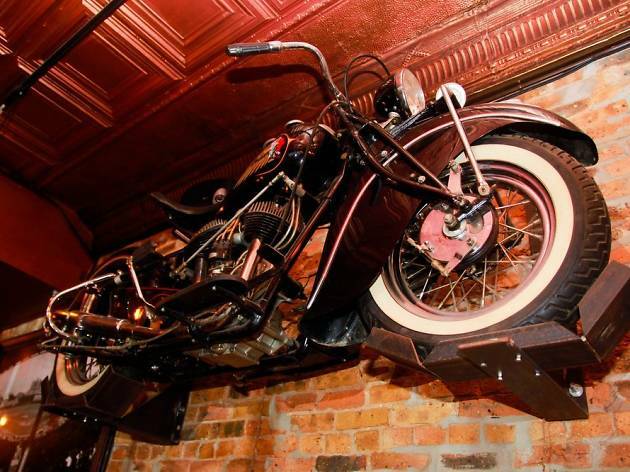 Spyners Pub boasts cheap drink specials, friendly crowds and weekend karaoke jams that will have you coming back to this Lincoln Square dive bar on a more regular basis. 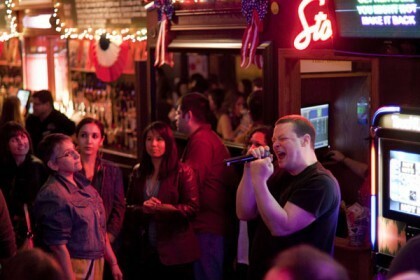 Karaoke: Fri, Sat at 9:30pm.